Ribeye Burgers find themselves back on the Jack in the Box menu for a limited time and are available in two varieties: the returning All-American and new Blue Cheese & Bacon. 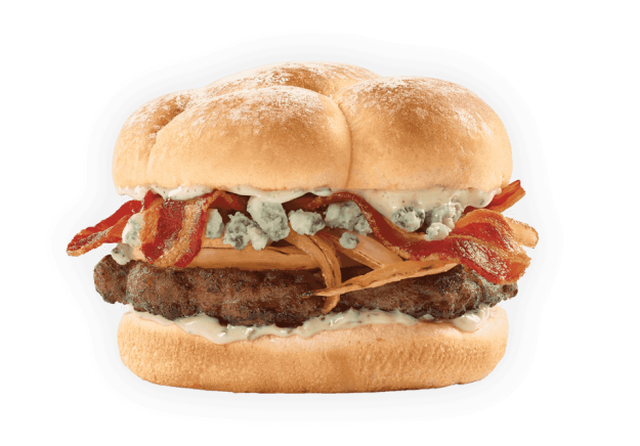 The new Blue Cheese & Bacon Ribeye Burger features a ribeye beef patty, crumbled blue cheese, blue cheese sauce, grilled onions, and hickory-smoked bacon, on a toasted potato bun. The All-American Ribeye Burger includes a ribeye beef patty, spring mix lettuce, provolone, red onion, tomato, and mayo on a toasted potato bun.